Google’s third generation Moto G and Moto X handsets are expected to drop in the near future. Details regarding the latter smartphone found their way to the web roughly a week ago and now, we have some information about the Moto G.
Don’t get your hopes up, however, as the specs aren’t anything to write home about (after all, it is an entry-level device). A YouTube video showing the alleged device has surfaced. According to the author, the Moto G will pack a 4.97-inch 720p display (320 DPI) that’s powered by a quad-core Qualcomm Snapdragon 401 SoC clocked at 1.35GHz alongside 1GB of system memory. The phone will also carry 8GB of internal storage (expandable via microSD card), LTE connectivity, a 13-megapixel rear-facing camera and a 5-megapixel selfie camera. It’ll include a modest 2300mAh battery and will run Android 5.1.1 out of the box. If true, Moto fans will probably be disappointed to learn the phone still has just 1GB of RAM and the same display. 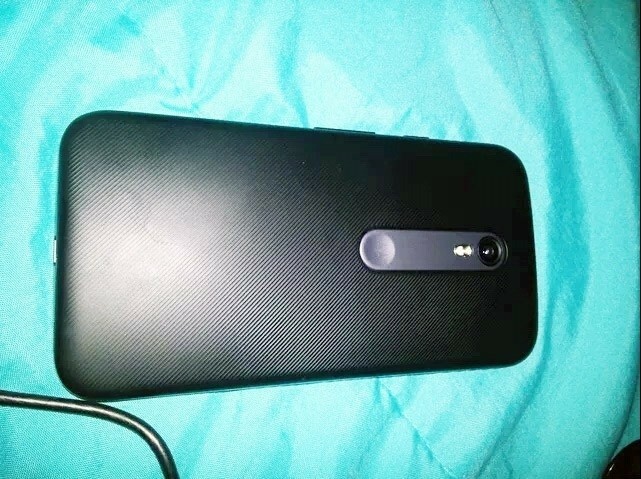 The 2015 Moto G will have a slightly faster processor, better cameras, LTE and a larger battery, however. Keep in mind that this is all rumor material at the moment and things could change between now and the release date. If the Lenovo-owned company sticks with the usual Moto release cycle, we probably won’t see the handset show up until sometime near the end of the third quarter. No word yet on pricing. Title says 410 soc and in the body the model is mentioned as 401 soc.